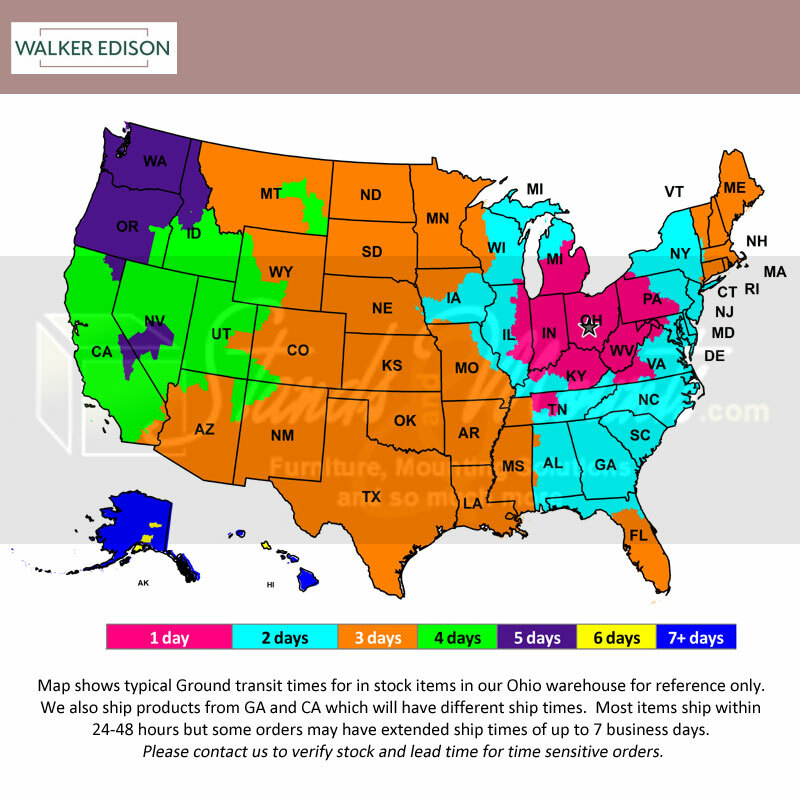 More on the Walker Edison Acacia Wood Patio Coffee Table (Dark Brown) OWCTDB below. 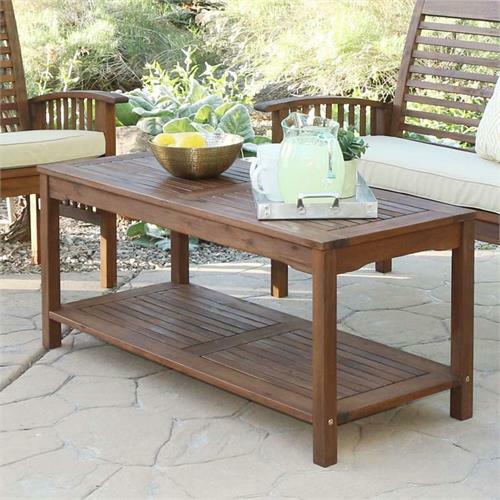 This stylish coffee table offers two levels to provide you ample storage for your outdoor accessories. Crafted from solid acacia hardwood, this table is naturally stylish yet durable to last many summers to come. Pair it with our matching loveseat and chairs for a complete patio set. *Table only. Chairs, bench, loveseat, and dining table sold separately, see related products below.